If you participated in or read the Storify of the NABJ Students’ recent TweetChat about preparing for the upcoming Annual Convention and Career Fair, you know you don’t want to miss it. Time is running out for you to pre-register for our convention Aug. 8-13, 2017, in New Orleans. After June 30, rates jump from $380 to $550. You know you want to be there. You know there’s a strong chance of having FOMO (fear of missing out). You also know you’ll be MAD if you wait and have to pay an extra $170 for registration, so what are you waiting for? I know, I know – you think you still have plenty of time to register, book a flight and get that hotel reservation at the Hilton Riverside. But you really don’t have that much time. The truth is, the convention will be before you know it!! So run — do not walk — to the NABJ website and get yourself registered TODAY!! Get Your Eat on in New Orleans! I’m not going to lie-I’m a girl who likes a good meal. And in New Orleans, you always eat well, even if you’re broke. My mother’s family is from Lousiana, so I grew up eating food like crawfish etouffee (see above), red beans and rice, muffuletta and po boy sandwiches. Below are five places I try not to miss when I visit the Crescent City. 1. Compere Lapin. The brainchild of former “Top Chef” contestant (one of my show favorites) Nina Compton, this restaurant blends Caribbean and New Orleans cuisine that’s delicious. 2. Clover Grill. This is down home diner cooking at its best. They cook the burgers under a hubcab, and they are among the best I’ve ever had. And the amusing attitudinal waitstaff is a bonus! 3. Deanie’s Seafood. I took Dr. Syb Brown during the last NABJ convention here in 2012. The seafood is fresh and the portions are massive. A large catfish/shrimp platter is more than enough for two! 4. HiVolt Coffee and Bakery. I’m a big fan of this eatery, which has great coffee and is famous for its breakfast sandwiches and breakfast bowls. 5. Daisy Dukes. Just on the edge of the French Quarter, it’s open 24/7 and has great breakfast options. But it’s also known for its $8 bottomless Cajun Bloody Marys. Pre-registration for the convention ends on June 1, so register here. I’ll see you in New Orleans!! The NABJ conference is around the corner and it’s time to get the reels ready! This online webinar will help producers and on-camera people to prepare their reels for the 2014 NABJ conference. Jummy Olabanji is the noon anchor for WLJA-TV in Washington, D.C. and Caleb Wilkerson is a supervising producer for the Discovery Network. Together they have more than 15 years of experience in the television and online video industries. They will go over reels that worked and reels that didn’t work so you can be ready to sell yourself at the conference. Jummy Olabanji currently anchors Good Morning Washington and ABC7 News at Noon. Helping the Washington area wake up is a dream come true for this hometown girl. Jummy was raised in Fairfax County and graduated from Westfield High School in Chantilly. Go Bulldogs! The Emmy award-winning reporter and anchor joined ABC7/WJLA-TV and NewsChannel 8 in 2011. Since joining Washington’s most-trusted news team she has covered several including the 50th anniversary of the March on Washington and the shooting at the Washington Navy Yard. 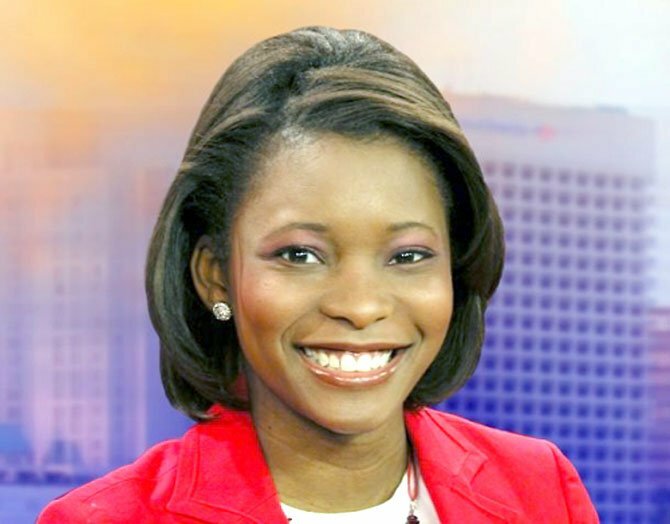 Prior to returning to the D.C. metro area, Jummy spent several years of working as a reporter and anchor at WTKR-TV in Norfolk and WCAV-TV in Charlottesville. She started her career as a news assistant at CNN’s Washington D.C. bureau. Caleb Wilkerson is an multi Emmy and Webby Award winning creative professional who is a Supervising Producer for Discovery. As a skilled video director, producer, editor, and digital media strategist whose video credits also include, ESPN, USA TODAY, NBC Sports, HBO, and NFL Films. As a dedicated creative leader with a deep passion for technology and storytelling, Caleb has produced and directed videos across multiple platforms for more than 10 years covering many major events. In the digital media space he has led the online video strategies for household names such as USA TODAY, NBC Sports, and Forbes Magazine helping to shape their multimedia vision. 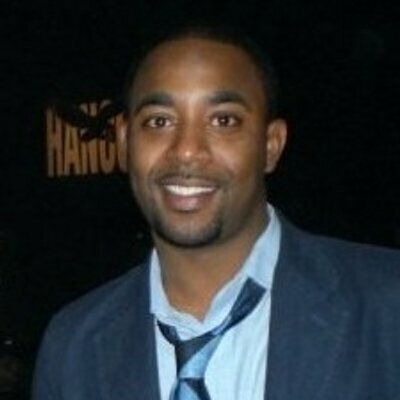 While in the television space, Caleb has worked as a director and producer at NFL Films and ESPN covering more than 10 Super Bowls and helping to capture pivotal moments in sports history while crafting compelling features for programs such as Showtime’s Inside the NFL, ESPN’s NFL Films Presents and most recently the 2012 Summer Olympics in London. Caleb is a proud father of a 18-month son named Cameron James and is currently in the process of working on a documentary for HBO Films. We know that it is impossible to make it to every panel discussion and every event. But it is possible to stay informed and engaged with #NABJ13 on the go. Our social media plan this year is simple: Engage. Inform. Execute. Message. We want to actively engage with you at the convention and those who are not able to go. We will inform you. 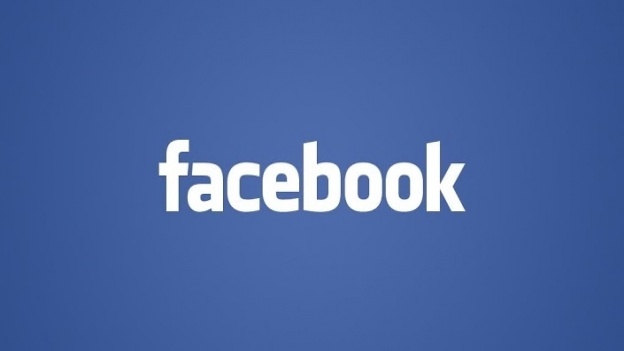 What you need to know, where you need to go and what people are talking about. The NABJ convention is more than a celebration. It is the opportunity for journalists to come together, have an open forum to discuss issues in our newsrooms and in our communities. We will execute this plan to keep those conversations on a national platform. Last but not least, we want to visually tell the story of NABJ through multiple platforms— through our message. #NABJ13PREP Chat July 25 8pm EST – ASK ANY QUESTION! The Digital Journalist Task Force is back at it again. Due to the overwhelming success of the first #NABJ13prep twitter chat three weeks ago, we’re doing another twitter chat THIS Thursday, July 25. This time we’ve invited all the people who have put together a wonderful CONVENTION! THIS IS YOUR LAST CHANCE TO ASK VETERANS ABOUT THE NABJ CONVENTION & FIND OUT ABOUT THE UPCOMING ACTIVITIES. For the first 20 minutes, we’ll be asking our panelists some of your most pressing questions. Then, it will be an open forum in which you will be able to tweet ANY question that you have about the NABJ conference. Benet Wilson (@benetwilson) – Benet is the chair of the Digital Journalism Task Force and is this year’s programming chair of the NABJ Conference. Kathy Chaney (@kathychaney) – Kathy Chaney is a producer for WVON has attended the NABJ conference for eight years straight. Carol Ash (@carol_ash) – Carol Ash is the NABJ Convention Chair. Cindy George (@cindylgeorge) – Cindy is the current parliamentarian of the NABJ. Sarah Glover (@skyphoto) – Sarah Glover is on the NABJ Conference programming committee. Wesley Lowery (@wesleylowery) – Wesley Lowery is the NABJ Student Representative. Join Poynter’s online on June 24 for Reporters Boot Camp 2013: A Poynter Broadcast through NewsU. You can watch the broadcasts of the live sessions for the day, ask questions and join text chats with other online participants. The broadcast is just $69 if you register by June 3. The Journalism & Women Symposium invites early-career, female journalists to apply for the 2013 CAMP Fellowship. Fellowships will cover registration for the 2013 JAWS Conference and Mentoring Project (CAMP) in Essex, Vermont, from Oct. 25 – 27. Fellows will also receive a one-year JAWS membership and a stipend for travel and lodging. JAWS CAMP is for female journalists of all ages and focuses on strengthening core journalism skills, building personal brands and careers, developing strategies for success in today’s rapidly evolving media landscape, and improving the status of women in journalism. Participants at this year’s CAMP will enjoy a dynamic experience filled with inspiring speakers (including NYT Executive Editor Jill Abramson), motivating career development sessions, and rewarding networking and mentoring opportunities. Fellowship applicants are asked to submit a one-page résumé, two published clips, a personal statement (300 words or less) on why she wants to attend CAMP and what she hopes to contribute, and one letter of recommendation. Please send all application materials via Email to jawsfellows@gmail.com. For more information on fellowships, please visit the JAWS website (http://www.jaws.org/jaws-events/fellowships/) or contact Fellowship Chair Jessica Rettig at jessicarettig87@gmail.com. For CAMP updates, visit www.jaws.org or follow JAWS on Twitter at www.twitter.com/womenjournos. The deadline is June 1. Morningstar, Inc., a leading provider of independent investment research, is hosting its 25th annual investment conference for financial advisors.More information about the Morningstar Investment Conference, including the full agenda, hotel accommodations, attendee registration, and continuing-education credits, is available athttp://global.morningstar.com/MIC2013. Conference updates are also available on Twitter at http://www.twitter.com/MStarAdvisoror through the conference hashtag: #MIC25. Press Registration Information: Full-time members of the news media may receive complimentary registration to the Morningstar Investment Conference. If you are a member of the media and want to register for the conference, visit:http://global.morningstar.com/mediaregistration or call Shawn Malayter at 312-696-6050. The National Association of Black Journalists will be hosting the 2013 NABJ Region 3 Conference on March 8-10 at Johnson C. Smith University in Charlotte, North Carolina. The conference program will offer participants an opportunity to sharpen old skills, learn new ones, and engage in valuable networking. The Donald W. Reynolds National Center for Business Journalism is holding a free online webinar, “Branding for Journalists: You Being You,” March 5, 2013, at noon or 4:00 p.m., EST. In this webinar, Robin J. Phillips, the Reynolds Center’s digital director, will show you some simple tips to take control of your image, and accentuate the value of who you are and what you do best – apart from your news organization. The Knight Digital Media Center at UC-Berkeley is offering an intensive 9-week graduate level certificate program, “Content & Strategy,” which focuses on the strategic implementation and production of digital media content combining seminar style instruction with practical hands-on training. The program is from March 5 through May 2. There will be presentations by world-class trainers, award-winning journalists and industry leaders, including Richard Koci Hernandez, Len De Groot, Jerry Monti. Tuition costs are $5,900. For more information, click here. The Knight Digital Media Center at UC-Berkeley is hosting a two-day, hands-on certification program, “Create Meaning from Data,” focused on communicating complex information with visually appealing charts, graphs and maps. It will be held March 8-9 from 8 a.m. to 4:30 p.m. at UC-Berkeley’s North Gate Hall. Tuition costs $645. Participants will learn to create a clearer, more meaningful picture of complex statistics and publicly available data, tell stories with interactive GIS maps, and create beautiful and effective graphs and charts. Click here to register. The Investigative Reporters and Editors are hosting the “2013 Salt Lake City Watchdog Workshop” in Salt Lake City, Utah on Friday, March 15 through Saturday, March 16. This training will offer several of our core sessions that will improve your ability to find information on the Web quickly, and point you to key documents and data that will help you add depth to your daily work and produce quick-hit enterprise stories. In addition, this workshop will give you tips on bulletproofing stories, digging deeper on the Web with social media, search engines and much more. Workshop fees: $55 Professional, $25 Student and $30 Optional Computer-Assisted Reporting Training. Registration closes on Friday, March 8 at 7 p.m. The Donald W. Reynolds National Center for Business Journalism is holding a free online webinar, “Power Searching for Business Journalists,” March 19 at noon EST. In this free, hour-long online training, Google senior research scientist Daniel M. Russell will offer his tips, techniques and strategies for using Google to find what might seem to be impossible. The Future Journalism Project, media initiative which explores disruption, opportunity and innovation across the media landscape, is looking for spring 2013 interns. Harvard Writers is hosting a 3-day course, “Achieving Healthcare Leadership and Outcomes through Writing and Publishing,” for physicians, healthcare professionals and writers who want to publish nonfiction in print form. The course will be held at the Boston Marriott Cambridge in Cambridge, M.A.. The Donald W. Reynolds National Center for Business Journalism is holding a free online webinar, “Power Searching for Business Journalists,” March 19 at noon EST. In this free, hour-long, online training, Google senior research scientist Daniel M. Russell will offer his tips, techniques and strategies for using Google to find what might seem to be impossible. The Digital Media Summit will be returning to Toronto on March 19-20 at the Toronto Marriott Eaton Center Hotel. You can use the promo code DMSMASH13 to receive a discount on the delegate badge. The Donald W. Reynolds National Center for Business Journalism will award two $1,000 fellowships to attend the annual conference of the Society of American Business Editors and Writers (SABEW) in Washington April 4-6. NABJ member Christopher Nelson, a freelance journalist based in Baltimore, was one of last year’s winners.